Yes, that’s right, I got a letter from America, well, technically, it was a package – a book to be precise – but not just any book – Oh, no. 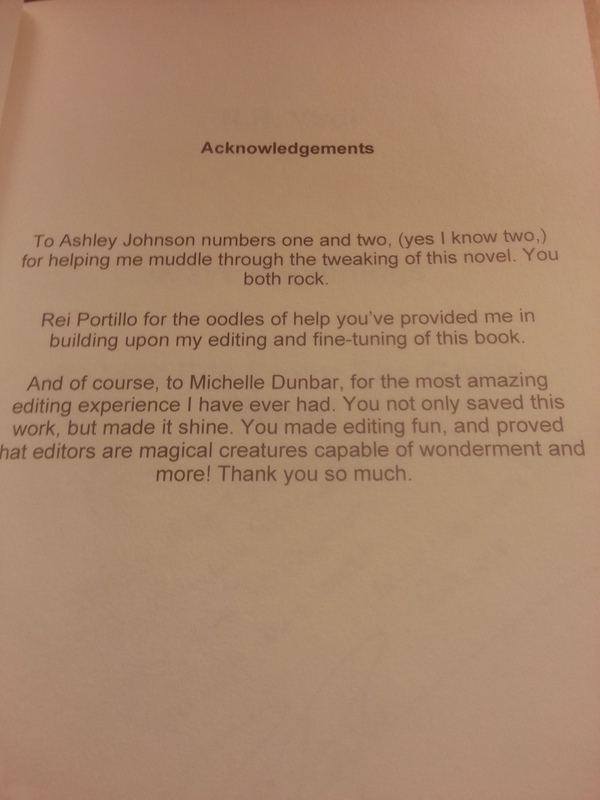 This is a book I helped edit. I ‘met’ the author, R.R.Virdi, in a Facebook writing group when I was starting out editing. In fact, if I remember rightly, he had posted a comment in a thread about the Open University’s Start Writing Fiction course (free) on OpenLearn. 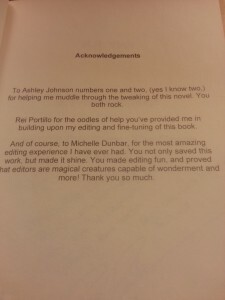 We got chatting and he mentioned he had a book, while I happened to mention that I was a wannabe-editor in need of manuscripts to practice on (and I am grateful to all the authors who let me loose on their literary babies. It really helped me work out good [editing] practice and assess my strengths and weaknesses in the ‘real’ world). 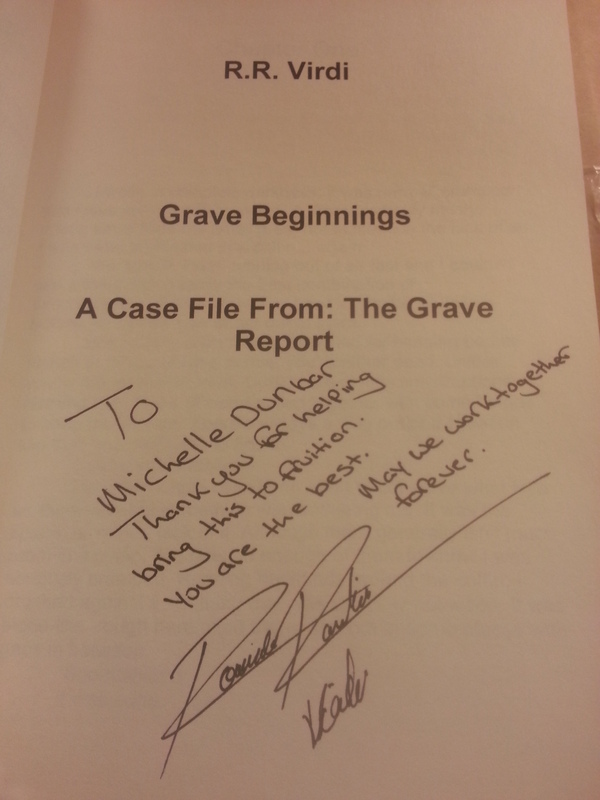 As for the book, Grave Beginnings, I was hooked from the first paragraph. There was something about the writing style that made me sit up and take notice, before I knew it I had read the whole of the first chapter and was turning to read the next. 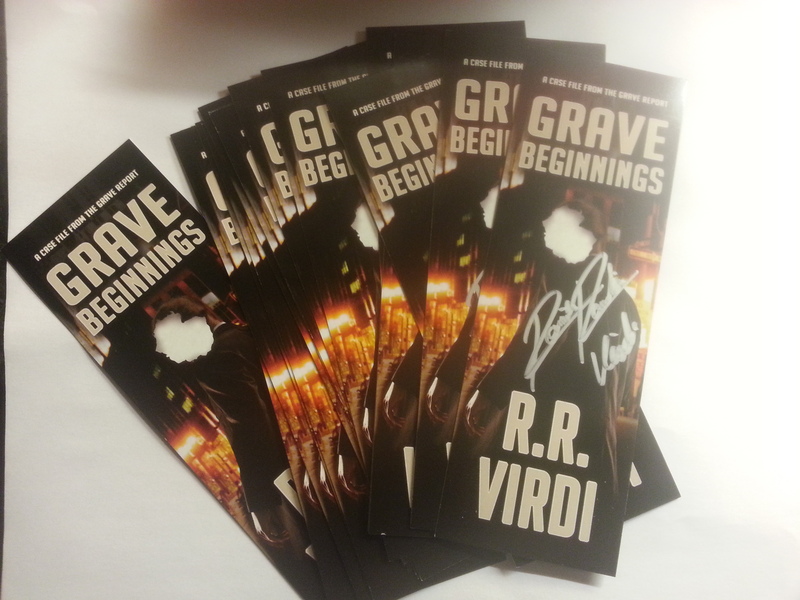 What I loved about working with R.R.Virdi was his eagerness to learn. I can’t remember the exact words he used, but he warned me that it needed a major edit, of both developmental and copy. I just did what I always do and marked up what I liked and didn’t like with explanations of why I felt this way. I highlighted the parts I felt were lacking or unrealistic (even within a fantasy context), offered suggestions for character and plot development, and of course, gave praise where praise was due, mostly where scenes or events took me by surprise as I’ve got a real ‘thing’ about foreshadowing. I love getting surprised when the clues were in sight all along and make it my mission to find them in the early pages of a book. 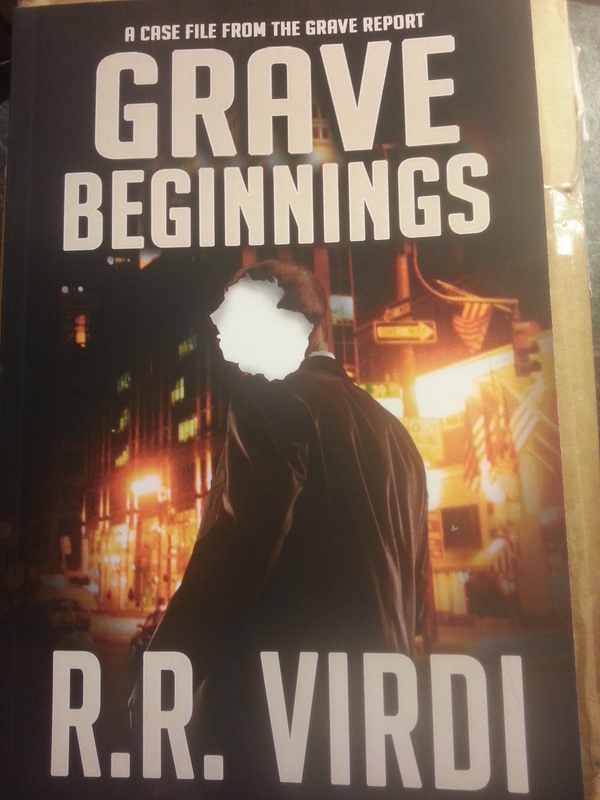 The best part of editing Grave Beginnings (for me) is that I can see that R.R.Virdi has taken the advice I’ve given him onboard and incorporated it into his second book. 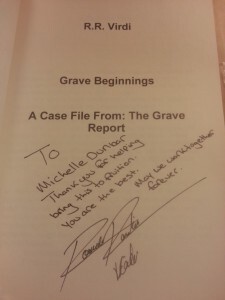 A paperback copy of Grave Beginnings, including a wonderful mention in the acknowledgments page and a personal message from R.R.Virdi. Oh, and a wad of bookmarks for secreting into UK bookshops (I’m thinking Waterstones, WH Smiths…) or for giveaways should any fans in the UK like one of these. And I shall end this post with a massive, humongous THANK YOU to R.R.Virdi for taking the time to sign and send me a limited first edition of Grave Beginnings (there’s a minor fault in the first few copies – now resolved – which means it’ll be worth a mint when he makes the big time – which he will. Keep an eye on R.R.Virdi. He is a born storyteller.